Hearing Research Clinic is a non-profit organisation that offers a free online hearing test in order for you to know your hearing status in just two minutes. Operating in the greater Durban area, they bring health care to you, providing personalised home consultations through their audiologist Husmita Ratanjee-Vanmali. 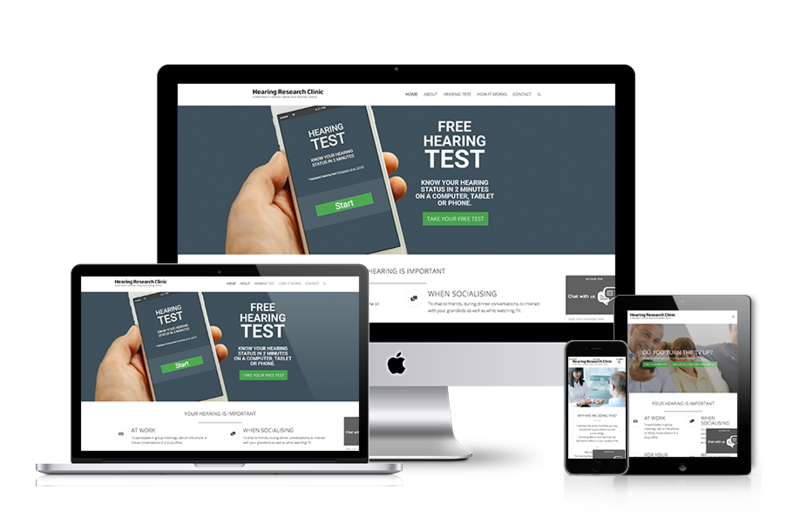 We took on Hearing Research Clinic’s website UX, UI design and development, launching them online in 2017 with social network advertising. Our aim was to drive potential patients to the website in order to take the test. We initiated a paid search and Facebook ads to increase awareness of hearing impairment providing an immediate evaluation of ‘pass of fail’. amount of consultations with their audiologist. We increased the traffic to the Hearing Research Clinic website by 18% in the past 3 months. We increased visits to the hearing test page by 72% and increased the number of tests started by 161%.